The Batak people of North Sumatra inhabit the mountainous interior region centring round Lake Toba. The Lake and Samosir Island on the lake are at the heart of Batak activities and culture. Aside from the Toba group, the Batak identify themselves as belonging to five other distinct communities. The Pakpak live west of the lake, the Karo are north-west and the Simalungun are east of the lake. The Angkola and Mandailing Batak who do not share their borders with the lake are further south and in closer proximity to the Indian Ocean. 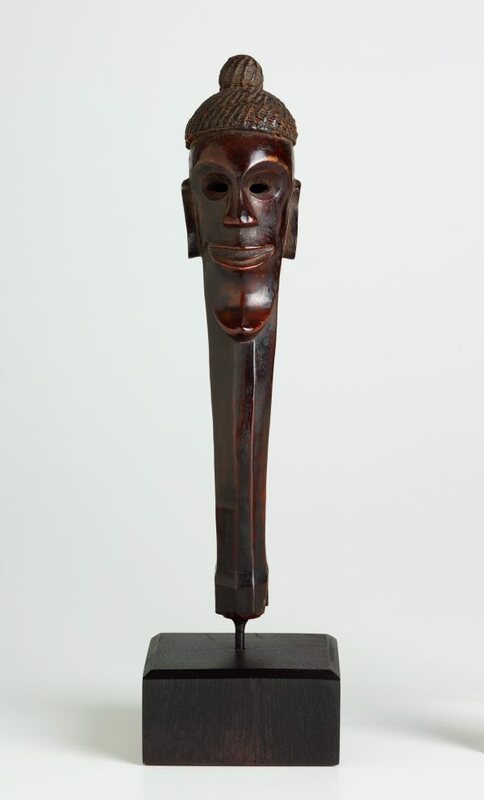 Whilst the Batak have long maintained trading links with coastal communities, especially along the Strait of Malacca,their relative isolation meant that they did not experience direct contact with Europeans until the mid 19th century when they were introduced to Christianity by Dutch missionaries. Whilst most Batak villagers converted to the new monotheistic religion they never entirely abandoned their pre-Christian animist cosmologies and as a result some interesting and syncretic religious practises were established. 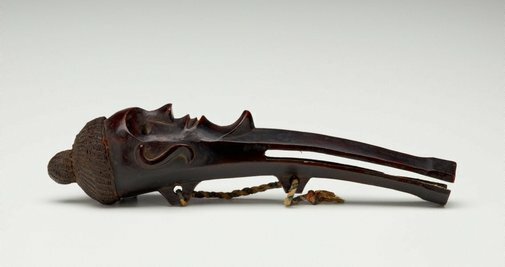 referred to as paru-paru, such accessories are also known in the Batak language as 'baba ni onggang'or ‘beak of the hornbill’, because of their avianappearance when viewed from the side. life-force resides in the human head. Sam Dubiner, 1955-1998, New York/United States of America, purchased from J.J. Klejman Gallery. 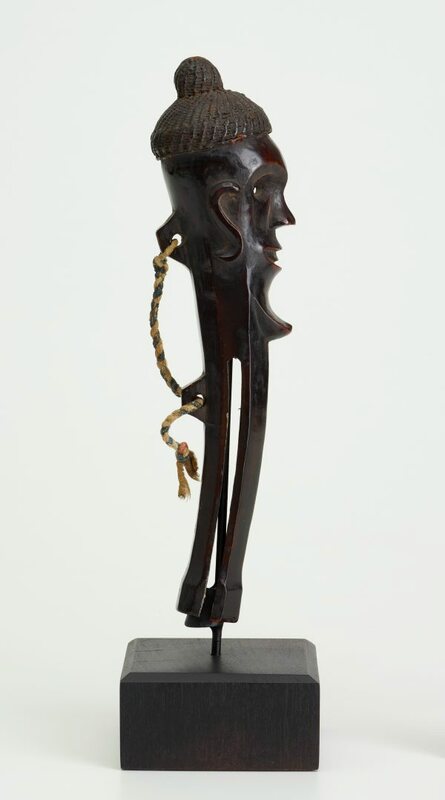 Sam Dubiner migrated to Israel and the object was displayed at the Tel Aviv Museum until 1998. Mariann Ford, 1998-Dec 2010, Sydney/New South Wales/Australia, purchased from Wayne Heathcote through Gabriella Roy at Aboriginal and Pacific Art Gallery (art dealership), Sydney. Gift to the Art Gallery of New South Wales as part of the Christopher Worrall Wilson Bequest 2010. Ancestral art of the Indonesian archipelago , Sydney, 2017, 68 (colour illus. ).